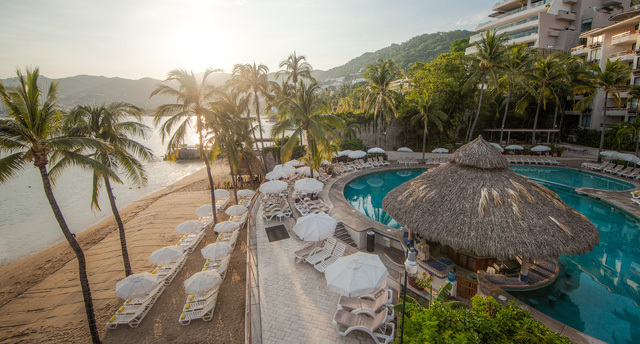 On a secluded beach, Playa del Secreto, on the western shore of Acapulco Bay, the Park Royal remembers the first time you heard the name, Acapulco. 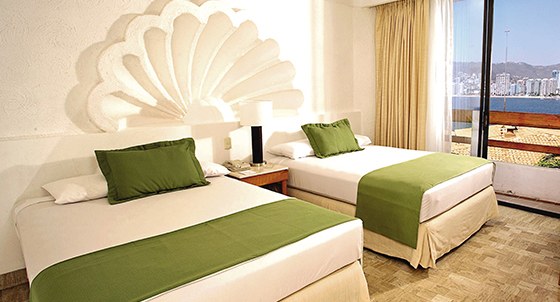 A vacation here has always been about glamour, night-life and fun in the sun. Decades go by, but Acapulco retains that edge. Today, getting the most out of an Acapulco Vacation means plenty of sleep and the perfect balance between fun and purpose. 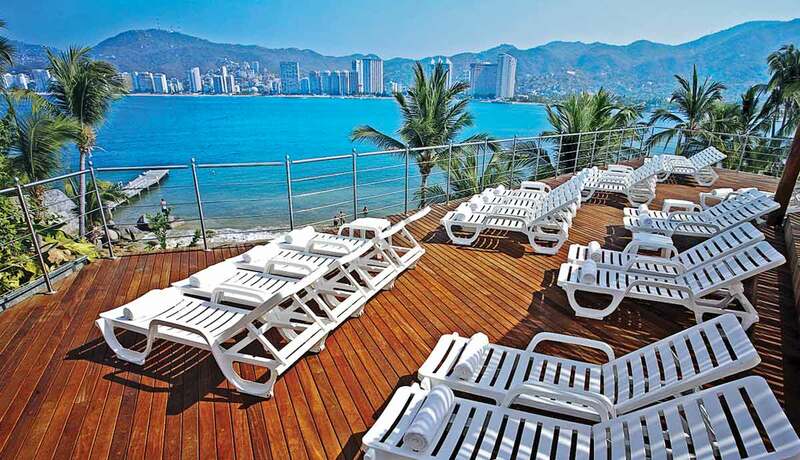 207 luxury guest rooms comfortably recline in a fashionable residential district on one of Acapulco Bay's famous cliff-side terraces, still just 15-minutes from downtown. 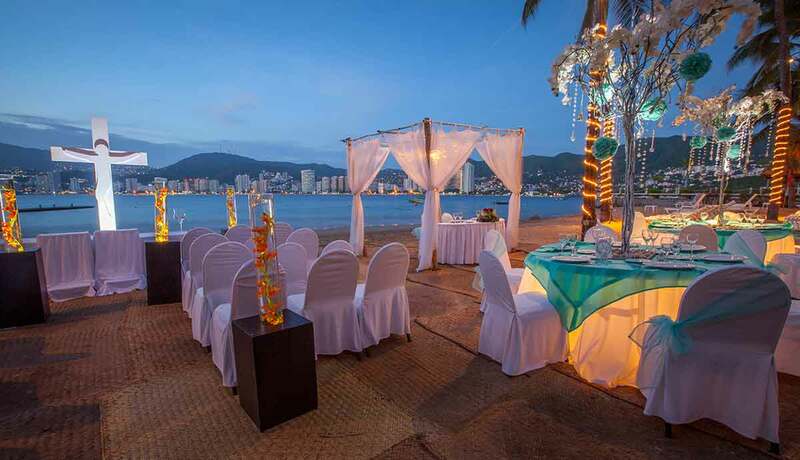 A river cascading through the grounds keeps the lush gardens green and breezes off the bay greet guests on the incline that whisks them down to the swimming pool, just above Acapulco most pleasant stretch of beach. 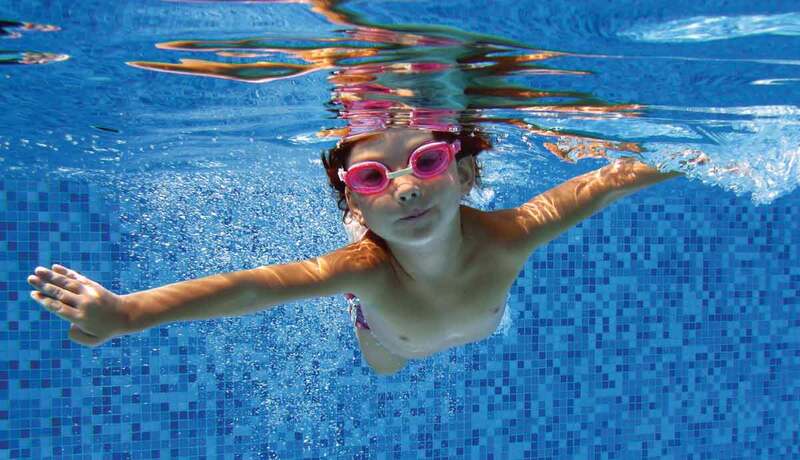 • Two luxurious swimming pools, including a secure children's section. ... just for starters. With games and contests for kids and a full schedule of beach, pool and sunshine activities, there's always something to get involved in. The spa provides full body relaxation and rejuvenation and after the sauna, or a massage, the hotel grounds offer endless views of the bay, the boats, the city and a free sunset everyday. 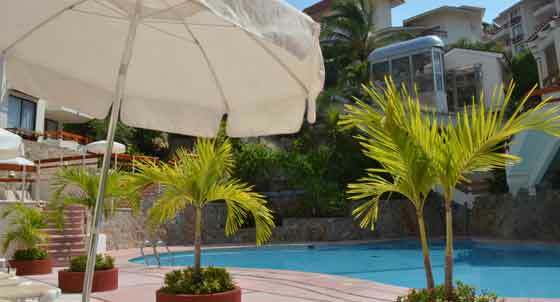 Live entertainment, nearby nightlife and a safe, rather posh residential corner of Acapulco is perfect for the deepest and most relaxing sleep of your entire vacation - every night. Standard? 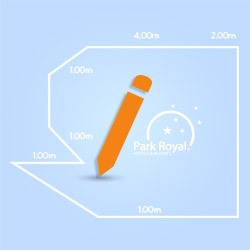 At the Park Royal Acapulco, standard means a knock-out view of the most beautiful bay in the world plus two luxury double hotel beds, or an optional King (shown) with truly indulgent bedding set over a spotless marble floor. With a full bathroom, tub & shower, fully adjustable air conditioning, direct dial telephone, cable TV, most units are complete with a private terrace and views of the gardens or of the ocean, but these have been known to cause considerable heartbreak. 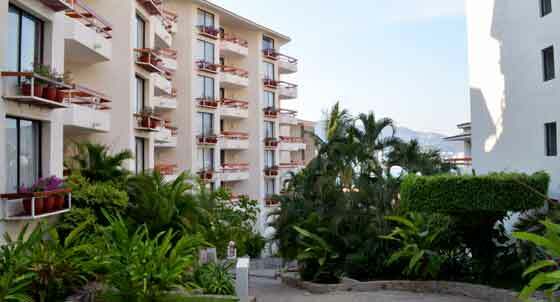 Secure electronic keys, in-room strong boxes, and an All-Inclusive plan that includes everything down to taxes and tips, mean you can leave your wallet in the strong box and thoroughly enjoy every moment in Acapulco. 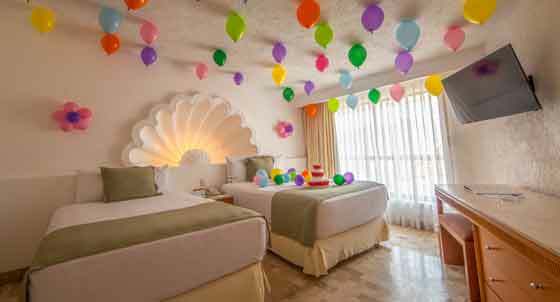 This room includes one bottle of sparkling wine and special room decoration, fruit basket, and chocolate strawberries at your arrival, 2X1 spa special (first one pays, second one for free) and access to the specialties restaurant without reservation on the second day of your stay. 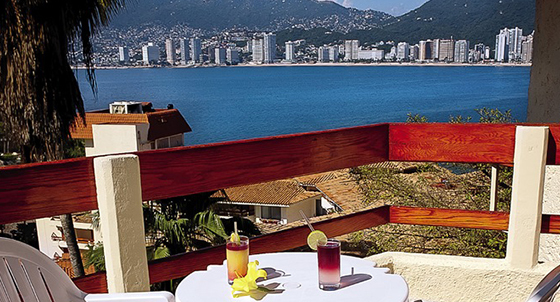 The magnificent Bahia Restaurant provides more than spectacular views of the Acapulco Bay. 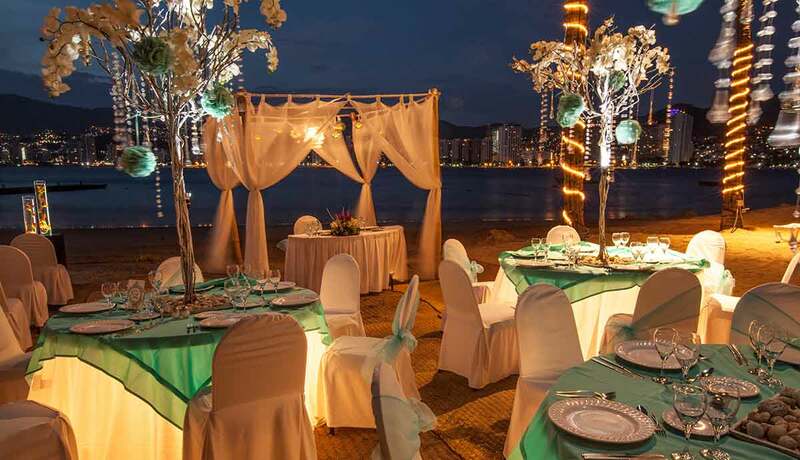 Breakfast and Dinner are served next to one of Acapulco's most lavish buffets, with plenty for everyone served fresh and with key special dishes every day. Our delicious Mexican breakfast buffet is a particular crowd-pleaser and themed dinners mean you can enjoy dishes prepared special every night of your stay. 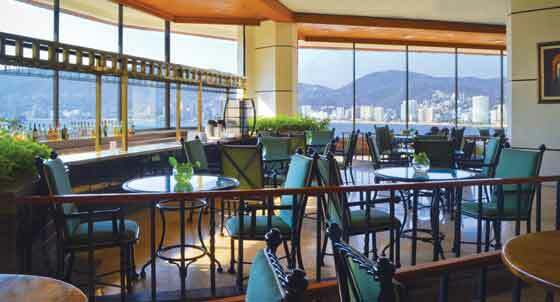 Lunch at the Park Royal Acapulco is celebrated everyday at El Pescador, a truly monumental open-air restaurant. 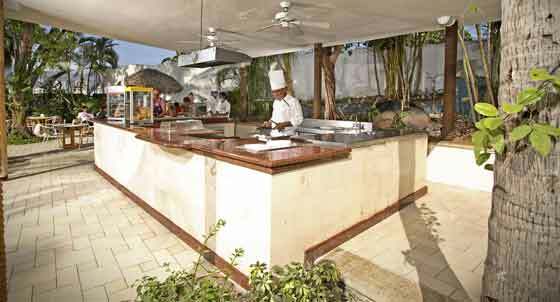 Ocean-view dining is provided just off the deck of the main swimming pool. 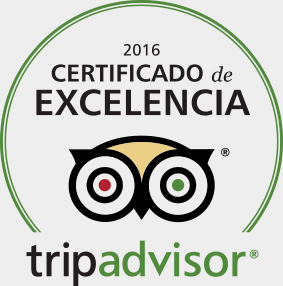 With a spectacular buffet and carefully chosen and prepared a-la-carte specials, guests enjoy our legendary ceviches, magnificent salads, grilled sea food, and of course, the catch-of-the-day, every day. Mouth-watering Mediterranean fare is served up with flair and style each night at La Trattoria where our Italian chefs specialize in some of Acapulco's finest Italian cuisine. With endless dessert and anti-pasta bars, you'll feast on some truly mouth-watering specials, and, of course, a follow-up cappuccino or espresso is mandatory. Heartbreaking views included. 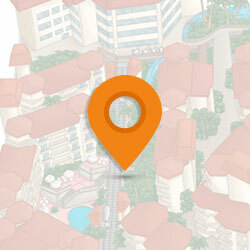 Your favorite tropical drinks and cocktails are served up and you never need to leave the pool. 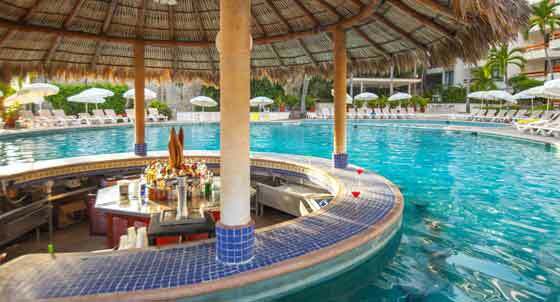 The center swimming pool is also home to La Margarita, where cold drinks and cocktails are served all afternoon. With heartwarming views of Acapulco and the bay, the Lobby Bar is a lively place to reconnect with your travel companions before and after every trip in and out of the hotel. Mon-Sat: 11:45 a.m.-6:00 p.m. Sundays: 1:00 p.m.-6:00 p.m.
El Jardin serves up lighter fare & munchies, all afternoon, by the main swimming pool. ¿Placer o negocios? Business or pleasure? This destination has been captivating visitors for decades.